These opportunities can and should raise awareness to evaluate alternative solutions. Here at 1 EDI Source, we believe our product innovations offer market leading benefits and can give your company an opportunity to improve your operations. How seamless the migration process will be when switching to a new EDI solution is a concern that often arises. We will help you be fully confident in a seamless migration process that is efficient and has the full support of our EDI experts. Take advantage of our EDI expertise in all aspects of the solution setup and management, including onboarding and managing trading partners. Contact us to learn more about how 1 EDI Source can help with your migration planning. We create a seamless workflow between your Trading Partners and your business and accounting systems. 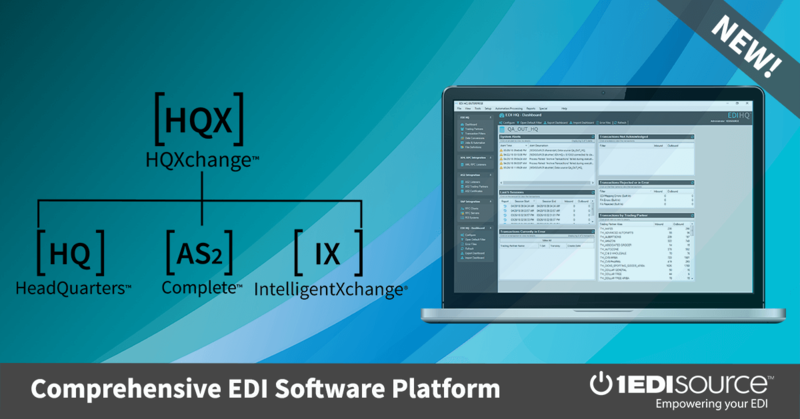 EDI integration should not only be with your trading partners. EDI integration is for your entire system – ERP, warehousing, business and accounting applications – integrating into these systems improves visibility into critical business information, increased data efficiency and accuracy, while enabling a better decision making process and responsiveness. Our team of experts have performed hundreds of integrations, primarily with our EDI/HQ solution. Our process starts by developing an integration plan based on your unique business processes, and then we rapidly and efficiently deploy an integrated solution that’s right for your business. Integrations can be handled through a number of methods, including Web Service, XML, and direct ODBC queries into staging tables, CSV or flat files.